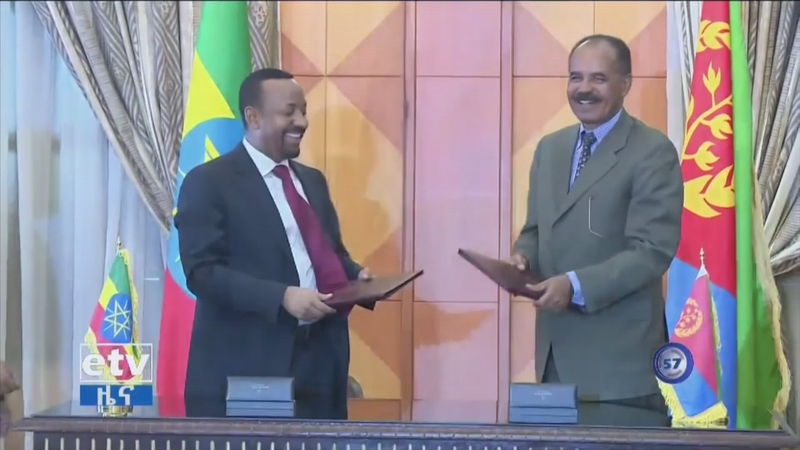 Ethiopia and Eritrea have officially ended their “state of war”, declaring a new era of friendship and peace. Leaders from both countries embraced on the tarmac of Asmara airport and agreed to resume trade, economic and diplomatic relations. A border war at Badme broke out between the two countries in 1998, leaving some 80,000 people dead. But after years of stand-off, the new Ethiopian leader says he’ll accept a border line adjudicated by an international commission. A warning: this report contains flash photography.